Our oldest son grabbed his fixed blade knife along with a few other necessities for the task at hand and joined me at our processing station. We had a couple of drakes (male ducks) and a rooster that were destined for soup jars and our oldest was ready to help. It wasn’t always that way, though. We had to teach him along the way. For most, if not all of their lives, our kids have grown up on this little slice of creation that we call home. If you’ve read PreppingToSurvive for any length of time, you know that we have a small homestead where we strive to be as self-sufficient as possible. We raise our own chicken, beef, eggs, and veggies. We have other animals and fruit trees as well. We haven’t arrived as yet. We still go to the big box store for many of the items that land on our dining room table, but we try to raise, hunt, or gather as much of our own food as possible. It’s a lifestyle that we’ve chosen and our children have been immersed in it from the beginning. So they see what we do and how we do it. They have chores around the house and farm to help in our lifestyle. But that’s not enough. We have to be intentional about passing along the things that we’ve learned to them to prepare each of them for the future. The Boy Scouts of America use the “EDGE Method” for teaching new skills to younger Scouts. I’m sure the method, or a similar one, is used in other organizations as well since the technique has proven to be very effective. EDGE is a an acronym for the four steps of the process: Explain, Demonstrate, Guide, and Enable. We’ve used these four steps to help our children learn new skills on the homestead. Explain. The first step of the EDGE method is to explain what you are doing and why. While we, as adults, may think this is self-evident, our kids need to know why we are doing what we are doing. When I taught our oldest to process a chicken, I explained everything beforehand. I shared with him each step and why it’s important. Demonstrate. Many people are visual learners. They learn best by observing someone else do it first. Continuing with the chicken processing example, I processed a chicken while my son watched. I reinforced each step by verbally reminding him of the step and why I was doing what I was doing. Guide. After you’ve explained and demonstrated the skill, the next step is to guide them in their efforts. In the step, we allow them to do it and we offer assistance as needed, reminding them of the next thing to do or providing insight into easier ways. In our chicken processing scenario, after our son had watched me process a bird, we processed two more together. We each had a chicken. I’d do something to my bird and he’d replicate it on his. Enable. The final step in the EDGE method is to enable your children to do it for themselves. Give them a chance to do it. They certainly won’t be as fast or as good as you, but that’s not the goal. The goal is to give them experience, allowing them to continue the learning process by trying it for themselves. The first bird that my son processed by himself took a long time and there was meat that was wasted. But he learned from it and now he’s much more proficient at it. Training your children takes time. It takes effort. We often just want to get the job done and we can do it faster ourselves. But that’s short-sighted. You’re doing both your kids and yourself a great disservice when you take on a task that they could help you do. After they have become proficient with a new task, they’ll save you time and effort. Training them just makes sense from an efficiency perspective. But there’s more to it than that. You’re instilling in them a sense of accomplishment. 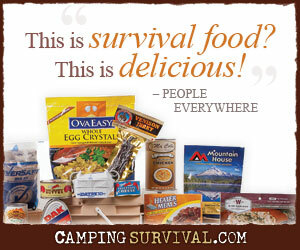 They have learned a new homesteading or prepping skill that they can depend on. They feel more empowered, more grown up, more enabled with each new skill. And you’ve equipped them with a new skill for the future. You’ve helped prepare them for the future. And you’ve better prepared yourself for tough times since they’ll be able to help you. So, take a few extra minutes to train your children. Teach them to help you in the kitchen. Teach them to bake bread or to make pies. Teach them to sew on a button or to change a flat tire. Teach them to process chickens. It’ll pay off in the long run.